Come see the axes fly! 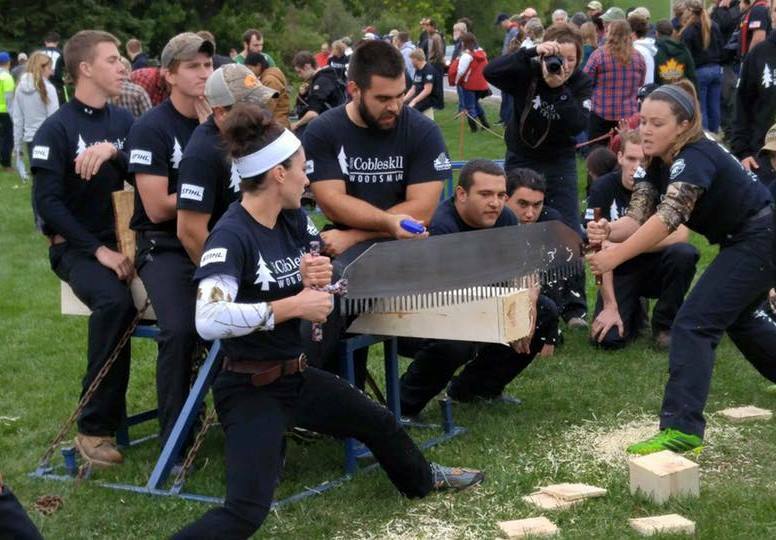 The Woodsmen’s Club from the SUNY College of Agriculture and Technology at Cobleskill returns to Hanford Mills to demonstrate cross-cut sawing, overhand and underhand chop, ax throwing and other lumberjack skills. The speed and precision of these talented college students is amazing to watch. The Cooperstown Graduate Program offered a fun slate of activities. Kids can make a mini-forest, create leaf rubbings and stick dolls, and build mini-beaver dams and test how well they work. The Learning Lab was open with gears, blocks and kid-focused activities. The Woodsmen’s Festival is included with regular Museum admission, which is free for children 12 and under, and Museum members. 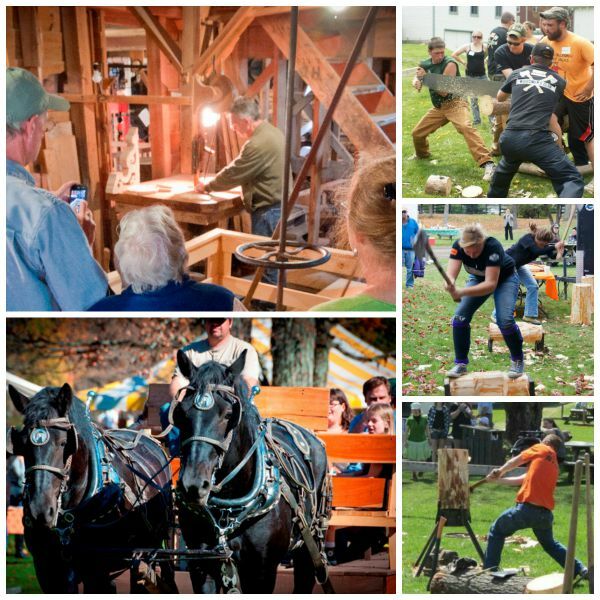 Woodsmen’s Festival activities are planned through 4 pm; the Museum site is open until 5 pm. Museum Neighbors residing in the following zip codes receive FREE admission (with proof of residency): 13757, 13739, 13786, 13750, and 13806.